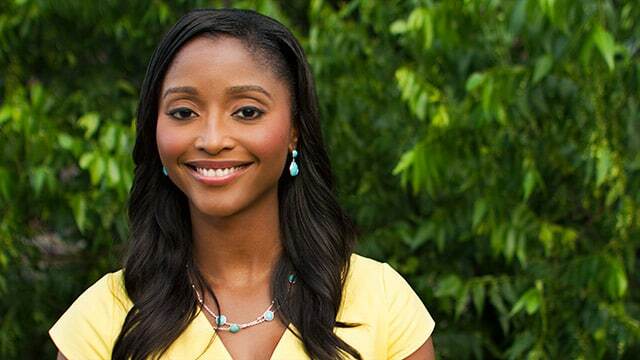 Isha Isatu Sesay was born on 6 January 1976, in Bordeaux, France, and is a journalist, best known for working as a correspondent and anchor for CNN International. She has hosted various news programs, including “CNN Newsroom Live from Los Angeles”, and has also been a presenter and co-anchor of the shows “Anderson Cooper 360” and “Evening Express”. Isha has been active as a journalist since 1998. How rich is Isha Sesay? As of early-2018, sources inform us of a net worth that is at $3 million, mostly earned through a successful career in journalism. She’s reported numerous high profile events and news from the field over the course of her career, and as she continues her endeavors, it is expected that her wealth will also continue to increase. Isha was born into a family that originated from Sierra Leone. At the age of seven, she returned to their homeland and was brought up in the Muslim faith. She had three siblings and her mother was a teacher, while her father worked for the Sierra Leone government. She studied at the Fourah Bay College School, and after matriculating went to the UK for further studies in 1992. She completed her A-levels, and then went to study at Trinity College, Cambridge. Eventually, she decided to pursue a career as a journalist, having toyed with the idea of becoming an actress, but instead started to contact various media groups for employment. After graduating, she found work as a researcher for the talk show “Kilroy”, which was a program aired on the BBC. She was initially an unpaid intern, but eventually got full-time work, and in 1998, she moved to Glasgow to work for BBC Scotland, and would then get her first job as a television announcer in the show “BBC Choice”. She went on to become a presenter of various programs for BBC, TWI and CNN before joining Sky in 2002. While a part of Sky, Sesay served for three years as the anchor for “Good Morning Sports Fans” which was a part of Sky Sports News. She was engaged in a lot of high profile work, including interviewing Ellen MacArthur, meeting Michael Watson and travelling with the Arsenal football (soccer) team. She then decided to move to ITN, to become the anchor of the program “ITV Morning News”, and was also a newsreader for the program “GMTV’. In 2005, she joined CNN International, being hired as a news anchor and correspondent. She was initially based at the global headquarters located in Atlanta, Georgia, and during her time with CNN, she covered the 2007 presidential election in Nigeria, and also the launch of the Global Elders in South Africa. In 2009, she became the host of the first edition of the news program entitled “International Desk”, a position she held for two years, before swapping with Michael Holmes, and became the presenter of “Back Story”. In 2012, “BackStory” became a weekend-only show, and Isha became an anchor of a new show entitled “CNN News Center”. She also contributed as a presenter of the “360 Bulletin”, which is a segment of “Anderson Cooper 360”. During the next year, she took up a presenter role as a part of the program “Evening Express” on HLN, and works as a part of the new headquarters of CNN International, based in Los Angeles, California. One of Isha’s most important events came in 2015, when she covered the kidnapping of over 200 Nigerian girls from a school in Chibok. She launched a social media campaign to find these girls, and her comprehensive coverage of the story led to her being given a Peabody Award. Isha is mainly active on the social media websites Twitter and Instagram. Like many other journalists, she maintains a strong online presence and helps deliver news through the platform. She reposts a lot of other news, and also showcases some of her daily thoughts on Twitter. She also posts a lot of her daily endeavors on Instagram, and has many of photographs showcasing her work as well as events behind the scenes. She also has a lot of photographs taken at work. Aside from her social media pages, videos of her reports are often seen on the website YouTube, where numerous fans post her videos. CNN also posts official videos of her reports on their YouTube account. In 2013, Sesay announced her engagement t to fellow CNN staffer Leif Coorlim to family and friends; they would marry just seven months later. There have not been any reports of children or any marriage troubles since their marriage in 2013.